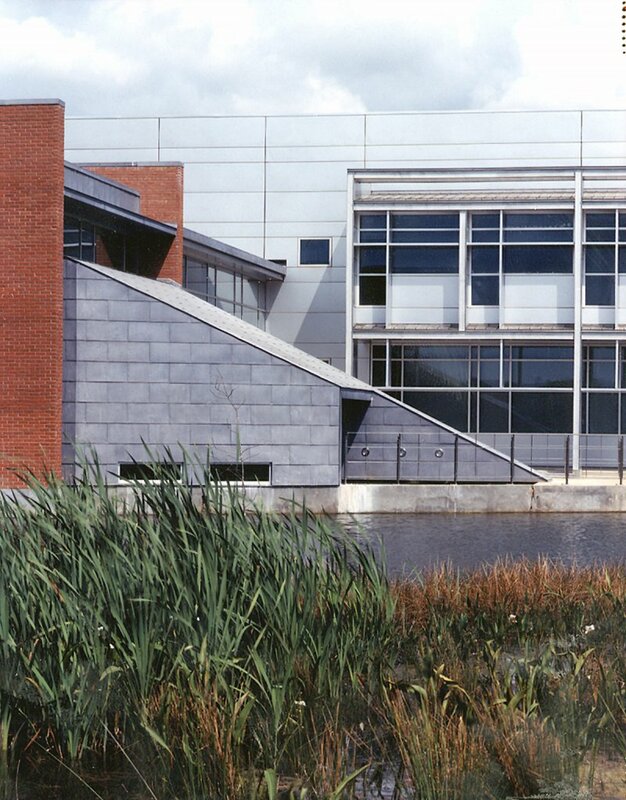 The Estuarine Habitat & Coastal Fisheries Center was designed as part of a joint federal/university research campus dedicated to the study of coastal marine life and habitats. 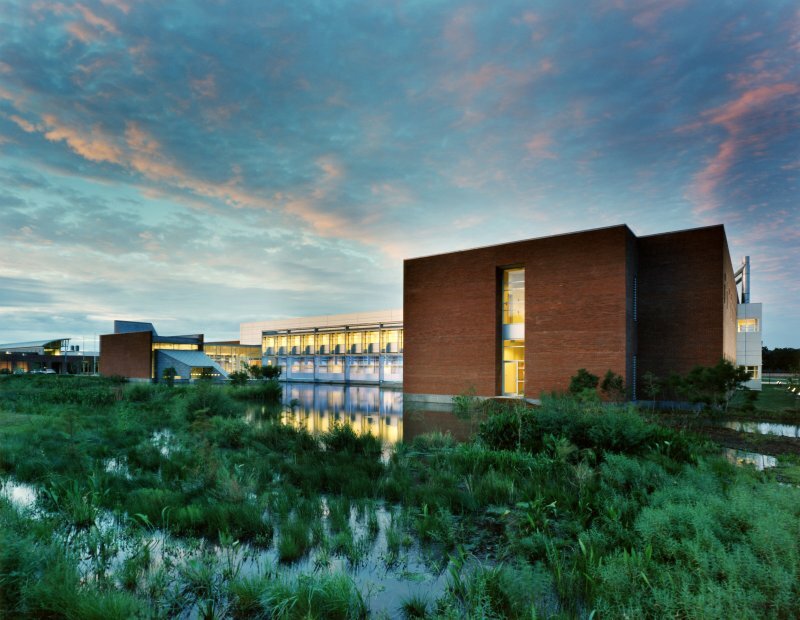 Opened in July 1998, this national award-winning project was a collaboration with Joint Venture partner Guidry Beazley Osteen Architects at the University of Louisiana at Lafayette. 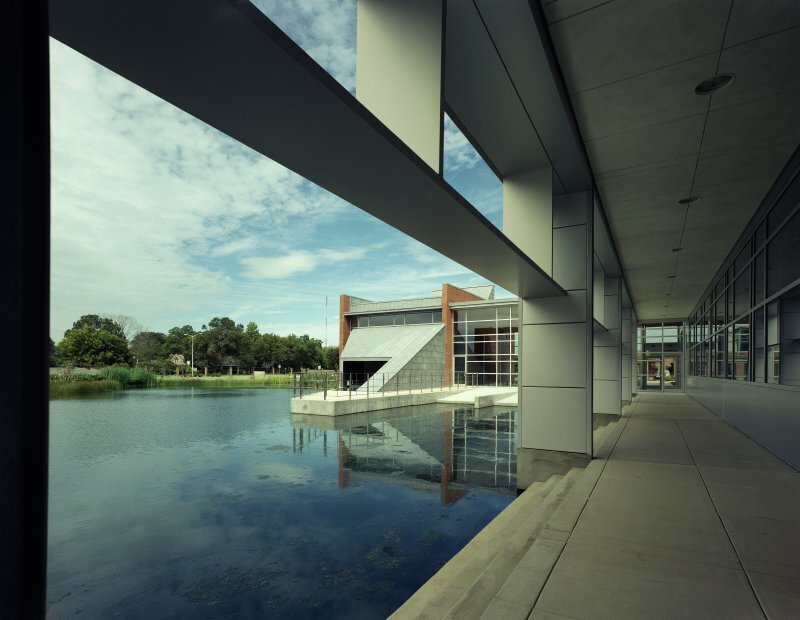 The physical program for this 69,000-square-foot facility includes laboratories, a conference center, an interpretive gallery and offices for several federal agencies. The social program, however, is one of making connections; internally between the Center’s various users and externally with the public and the adjacent University. 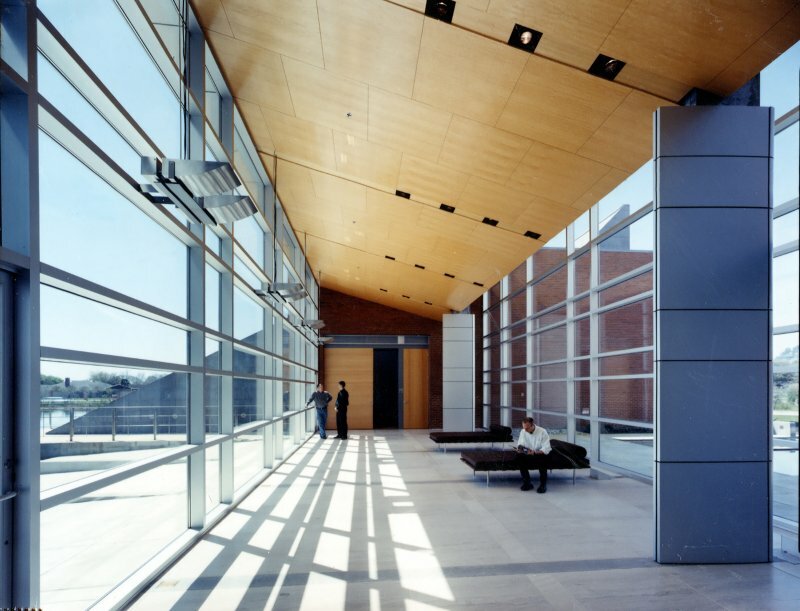 The building program is organized into two distinct wings, derived from a careful analysis of user needs and cost and energy efficiencies. The project overlooks a man-made wetlands habitat operating in tandem with the structure’s stormwater and wastewater facilities. In addition to their functional capacity, the wetlands simultaneously serve a symbolic role, signaling to the public the critical research aims of the facility. The project was completed before the adoption of LEED but recent post-occupancy monitoring of energy consumption has yielded a measured EUI of 185kBtu/sf/ yr (50% below benchmark), placing the project significantly below the 2030 Commitment at the time it was designed and constructed.